One of the most puzzling and important questions for proponents of wellbeing economies is what arguments can we use to convince governments to change their ways? If we could understand their motivations then perhaps we could find a way to bring them closer to delivering on a better society for all? We have much evidence on what binds governments to the current model – electoral cycles and media hostility play significant parts here. But we know far less about what would support them to overcome these barriers and see the value of a wellbeing approach. 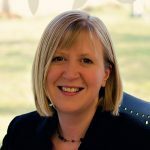 I am privileged in my role at Carnegie UK Trust to have been actively involved in wellbeing developments in two jurisdictions (Scotland and Northern Ireland), constituent parts of the UK that have significant devolved powers for primary legislation. Scotland began its journey in 2007 when it launched the National Performance Framework, which it subsequently put into legislation through the Community Empowerment (Scotland) Act 2015. The uninspiring name hides its intention to put wellbeing at the heart of government and move to a system that balances economic, social and environmental outcomes. Northern Ireland has a much newer system, put in place in 2016 but suffering from the current lack of government. But the intention is no less dramatic, to completely reframe the work of government as a system that aims to create wellbeing for all. The other devolved legislature of the UK, Wales, has also taken a wellbeing approach with its world class Well-being of Future Generations (Wales) Act 2015. For a naturally curious Scot, the coincidence was too much to go unnoticed: why would three small devolved governments embark upon an approach that other, larger governments are not willing to risk? In exploring this question for my new book, Wellbeing and Devolution I found each of the UK’s devolved governments had a specific reason for wanting to put wellbeing at the heart of governance of public services. For Scotland, the problem that wellbeing speaks to is the need for more joined up, efficient public services. For Wales, it is a mechanism to embed sustainable development. For Northern Ireland, with its recent history of conflict, wellbeing is a mechanism for creating a shared vision of the future of the region that focuses on what people need and want for a good life. Only Wales was influenced by Beyond GDP arguments at the outset, though the other two have moved in this direction (with Scotland recently reimagining their framework to connect it to the Sustainable Development Goals). Despite their different origin stories the three wellbeing frameworks have evolved to have very similar characteristics – each includes a statement of intent putting wellbeing at the heart of the purpose of government, each includes a set of outcomes that make up their vision for wellbeing and each includes a longer list of indicators for measuring progress towards the outcomes. The approaches are far reaching – they cover all government activity, in two cases they are embedded in legislation, in all cases they have been part of a much larger conversation about transforming the work of government to improve lives. There are learning points here for the international wellbeing movement. The most compelling argument for a government may not be about the economics of growth but lie closer to the day-to-day delivery of public services and political tensions. But the stories from Scotland, Wales and Northern Ireland also show that the origin story doesn’t matter as much as you might think. Regardless of why they were implemented, each wellbeing framework evolved into a much more fundamental shift to a wellbeing approach. Once the need for an overarching framework is established, the logic of balancing economic with social and environmental outcomes in decision making is inescapable. Building systems that prioritise prevention rather than mitigate harm becomes the order of the day. Programmes and activities that have multiple benefits across wellbeing domains begin to be prioritised, and where money flows culture change can follow. 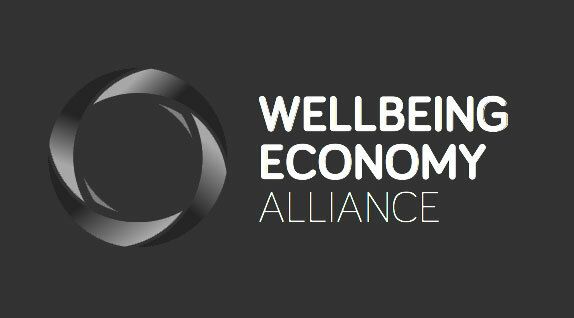 It is still too early to say just how successful these wellbeing approaches will be in transforming systems in Scotland, Wales and Northern Ireland. These are generational shifts not short-term initiatives. The value of a wellbeing approach is only beginning to be understood throughout the system. But the early indications are positive and the story they tell about how to make change happen may just turn out to be inspirational. 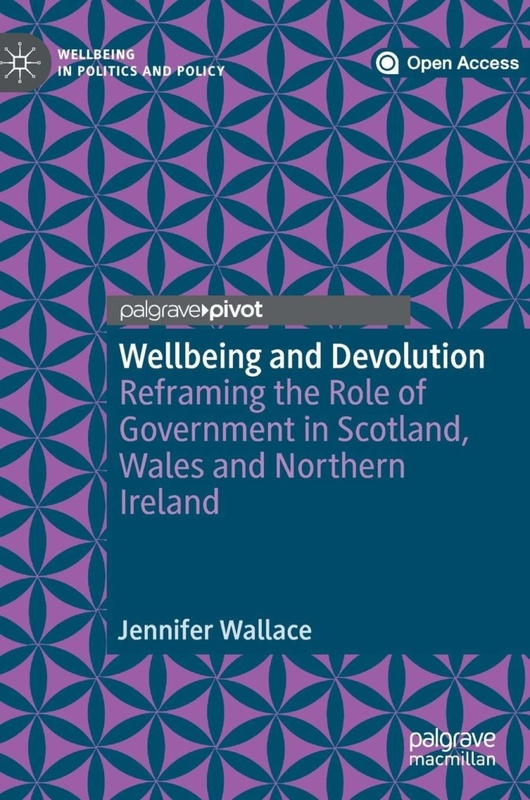 Jennifer’s book Wellbeing and Devolution: Reframing the role of government in Scotland, Wales and Northern Ireland is available open access available via Springer Online.